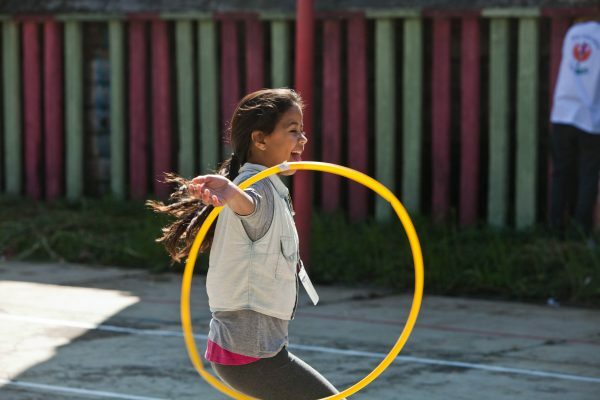 If every organization had its own genetic code, as is the case with regard to our personal DNA, it would not be an exaggeration to say that volunteering is the oldest “genetic” aspect of the Instituto Criança é Vida (Child is Life Institute). Created through the initiative of Mr. Gian Enrico Mantegazza, the then President of the Indústria Química e Farmacêutica Schering-Plough in 1996, the project, in its first year, certified 20 volunteers among company employees who, together, assisted 9 institutions, benefiting 600 families. 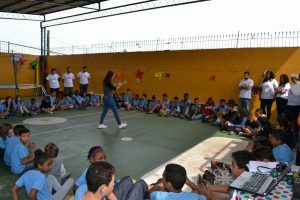 “The idea was to educate employees on a topic that underlies what the ‘Criança é Vida – Adultos’ (‘Child is Life – Adults’) project is today so that they could provide instruction in organizations on weekends. 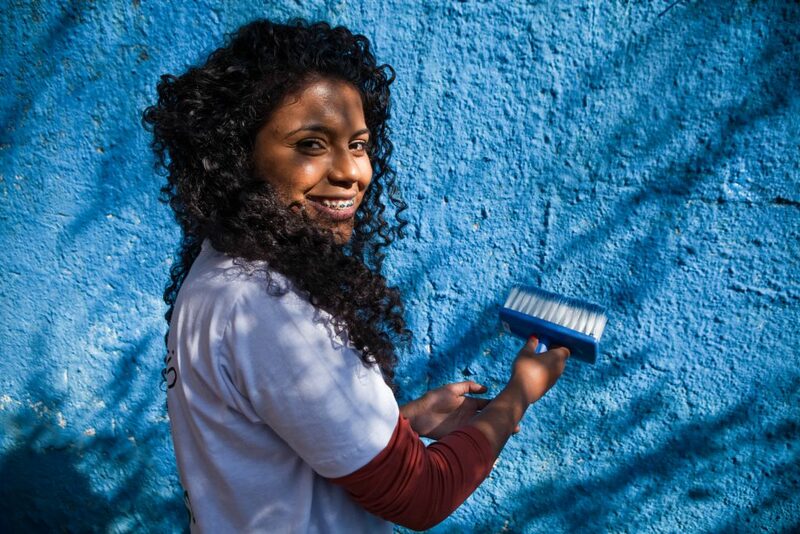 And thus corporate volunteering was born,” says Social Manager and Associate Founder of the Instituto Criança é Vida (Child is Life Institute) Ana Maria Germano. The proposal was so successful that it drew the attention of other institutions like the Hospital Israelita Albert Einstein. “Since then, the Institute has grown and separated from the company to devote itself to the systematization of content for other organizations,” Ana Germano recalls. The work first began to be recognized in 2000. 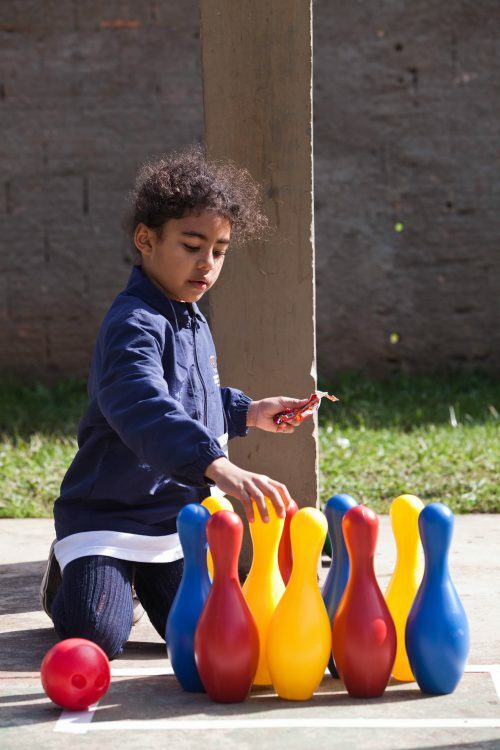 Criança é Vida (Child is Life) was considered a model by the “Como as Empresas Podem Implementar Programa de Voluntariado” (“How Companies Can Implement Volunteer Programs”) publication of the Solidarity Community Council Volunteer Program. 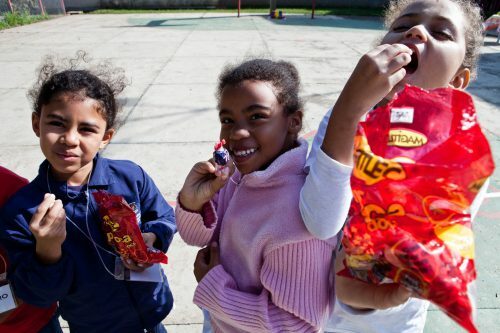 Since the creation of Criança é Vida (Child is Life) 21 years ago, the Schering-Plough corporation has been subject to mergers and acquisitions. It now belongs to today’s MSD, but its volunteering vocation is still there. Even today, the Institute’s maintaining partner keeps the tradition alive of promoting and encouraging volunteer activities among its employees. 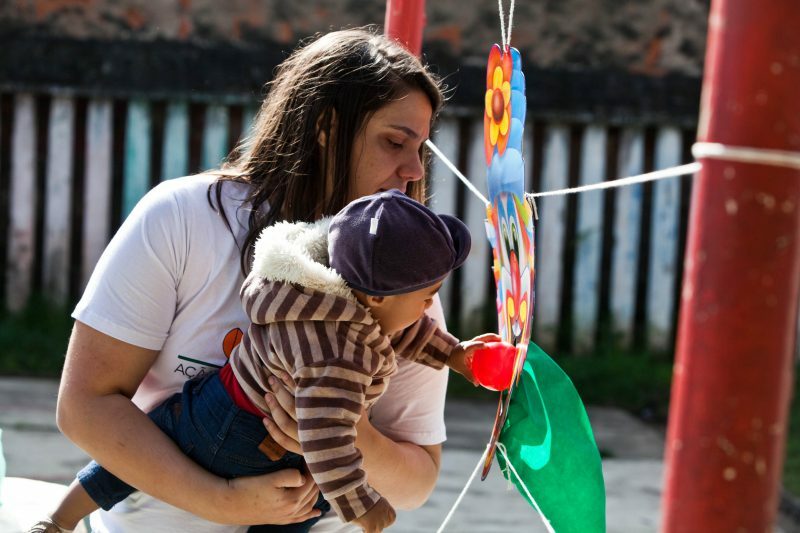 Most recently this is demonstrated by the certification courses offered to volunteers involved in Institute projects to directly benefit children in organizations selected by Criança é Vida (Child is Life). Certification courses take place at MSD itself, during lunch time, and lasts one hour and thirty minutes. Once the certification courses are completed, “the company releases employees on a Friday afternoon, at 12:30 p.m., so they can multiply the content of the project in the organization,” Ana Germano explains. Before each annual proposal, an Institute team visits the company to make an awareness presentation to employees. 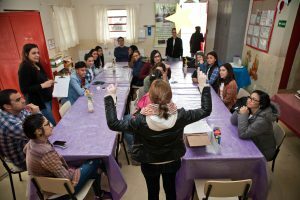 “During this meeting we introduce the topics that will be covered, the fun methodology used by the Institute, and the schedule with dates of planned activities, as well as the time one will need to spend on each volunteer activity,” the Social Manager stresses. It is only then that those interested apply to take part in the project. This is what happened to Leide Daiane Santos Parreira, a pharmacist and MSD Quality Assurance Analyst, in São Paulo. She had been interested in taking part in the project the previous year, but was unable to do so due to lack of time. However, in 2017, Leide was able to organize her affairs so that she could take advantage of the opportunity to be, for the first time, a volunteer educator. “It was a great pleasure to participate. It is really a very rewarding feeling,” she says. 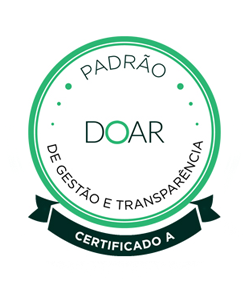 This year, the topic we worked on in the certification courses was Valores (Values), divided into two certification units: The first on honesty, trust and friendship and the second on conscientious consumption. The content was selected to follow up on the topics already dealt with the previous year and the benefited institutions were the same. Whenever possible, the activity always takes place with the participation of volunteers involved in the first multiplication. The participation of 7-to-9-year-old children caught the attention of volunteer Leide Parreira. “I felt that concepts like respect and honesty had already been very internalized by them, despite their young age,” she says. Now the pharmacist is already getting organized so that this will be just the first of many volunteer activities. In times of hecticness and technological vices, Leide believes that such initiatives are an opportunity to break the routine, learn, look someone in the eye, and give yourself to others. She gives a warning to newcomers interested in participating. “I really recommend this, but those who participate for the first time, will get addicted and not want to stop,” she jokes. 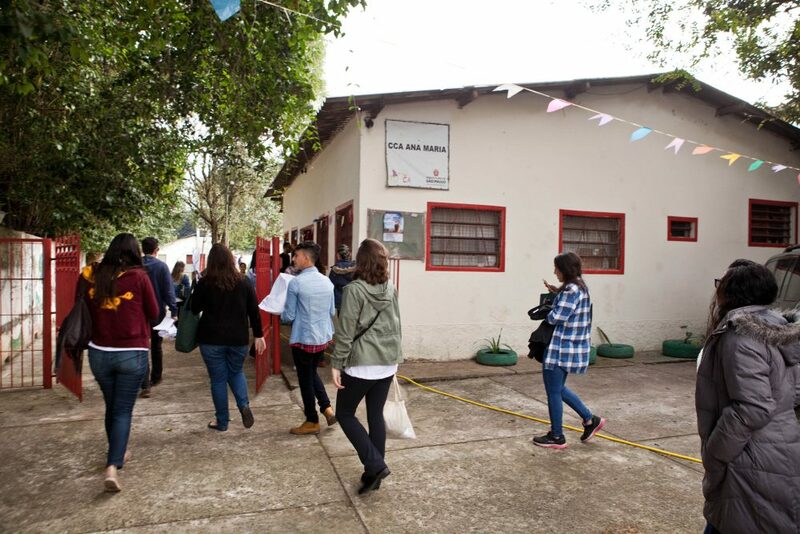 In addition to the certification courses, in 2017, for the second consecutive year, MSD volunteers participated in a combined effort to support the Centro da Criança e do Adolescente Ana Maria (Ana Maria Center for Children and Adolescents), on the South Side of São Paulo. Employees helped improve the headquarters building, by painting, and also participated in a Brazilian June party, organizing food and games. 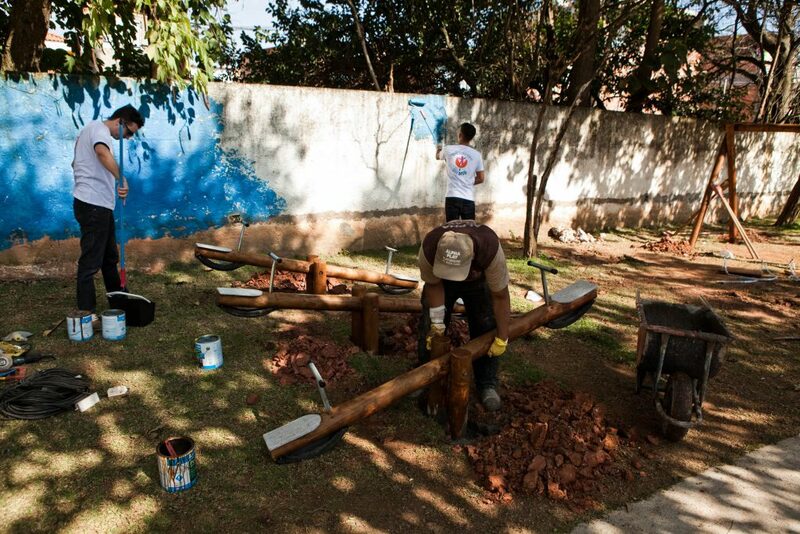 At the company since the time the Institute was created, it was only this year, after moving to São Paulo, that MSD District Sales Manager Rodrigo Cardoso had the opportunity to work as volunteer. “I started at the time of Mr. Gian Enrico Mantegazza and I witnessed the birth of the Institute based on his efforts and on his dream of doing something good for other people and, especially, for children,” he recalls. After more than two decades, the business manager is surprised with the scale of work achieved by the Institute. “I feel quite honored to see how this project has increased in scope, becoming a nationally-recognized institution,” Rodrigo Cardoso emphasizes. Rodrigo’s first experience with volunteering in 2017 was a double debut. 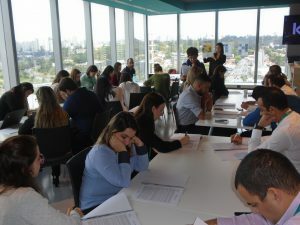 He participated in a combined volunteer effort and in the certification courses offered by the Instituto Criança é Vida (Child is Life Institute). “It was a unique opportunity. Being a volunteer makes us reflect on our values and shows us that we can help children,” he says. Children’s receptivity caught the volunteer by surprise. Coming back as an educator to the same institution where the combined volunteer effort had taken place, he was recognized and called by name by some of those who had participated. “That showed me that my presence had somehow made an impact on those children. Something positive had happened there. I was very happy,” Rodrigo celebrates. It is not only volunteers who learn important lessons from this kind of experience. Volunteer activities also affect those receiving them. “Working with volunteers provides a very rewarding exchange. 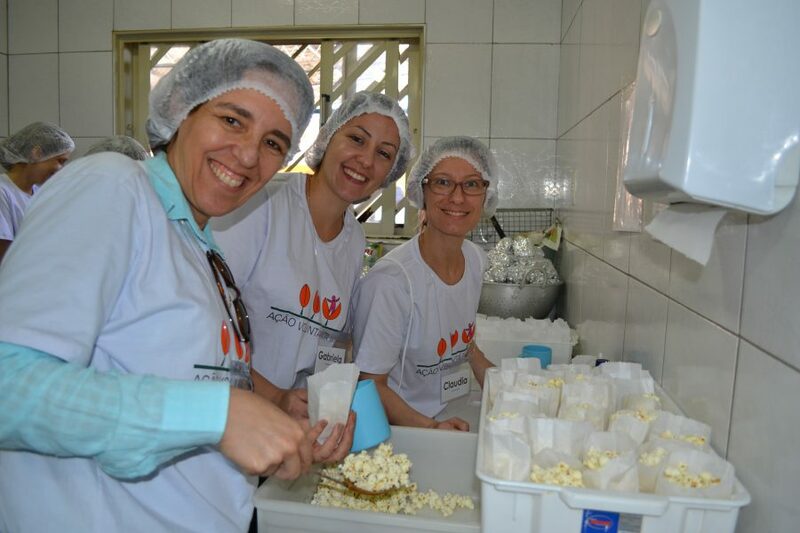 They learn a little about our community and the assisted children,” says Jenny Ribeiro dos Santos, Technical Assistant for the Centro de Convivência Social Bom Jesus (Bom Jesus Social Living Center) – Jardim Imbé (CCInter), an institution benefited by MSD volunteering in 2016 and 2017. Responsible for the integration between educators and volunteers, Jenny dos Santos sees the secret of the initiative’s success in the organization of the Institute. “They are not just people who come to participate in volunteer work. There is a whole structured pedagogical approach that gives quality to the work. There is also lightness, without losing the appeal for reflection. Thus, knowledge is passed on in such a fun way that much is learned,” she tells us. Regarding the content taught, Jenny emphasizes the relevance of the topics and the way values “often forgotten in everyday life,” are recovered. “These values are emphasized in such a careful manner that children really absorb them. They reproduce what they have learned, and this reaches another dimension. The work does not end with the children assisted, but extends to the families and community,” she explains. With regard to the next steps of MSD volunteering and the CCInter, the Technical Assistant has no doubts. “I want the project to continue and this partnership to go on and on,” she concludes. For the partner network to engage in volunteer activity, the educators who work daily with children in the benefited institutions are an important link. “They get the booklets in advance so that they can work together with volunteers on the day that multiplication takes place. 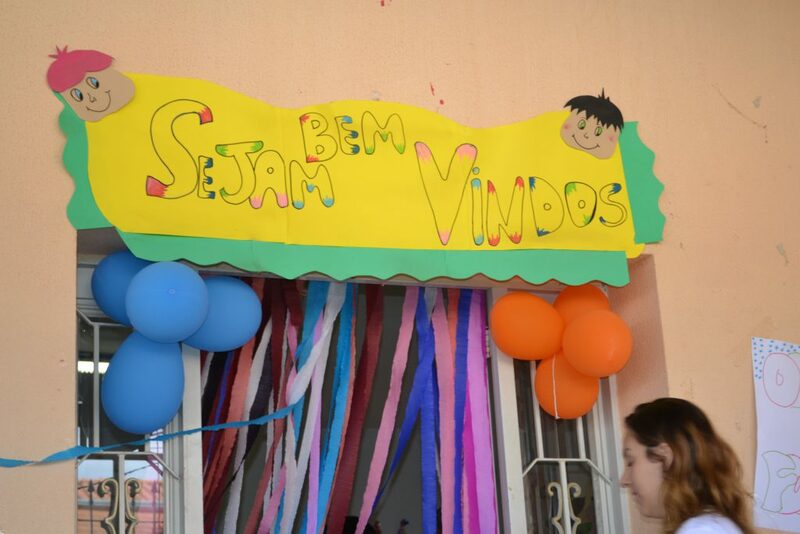 There is also an exchange,” explains Ana Germano, from the Instituto Criança é Vida (Child is Life Institute). Fábio Costa Carneiro da Silva is one of these educators. He has been participating in the project for two years and looks favorably on who the initiative of a private company, such as MSD, allows its employees to spend part of their time involved in socio-educational work with children. With regard to the methodology used by the Institute, the educator emphasizes the practical, dynamic and fun aspects of the activities and how the content builds on topics already taught by the institution. “It was a very positive experience. The methodology used is very good. It is not something boring for children. In addition, the theoretical resources and the themes addressed only supplement our work,” he assesses. The MGN Company is another essential partner. It is responsible for all necessary logistics, such as transportation and confirmation of volunteer presence, which ensures that certification courses and multiplications can take place. 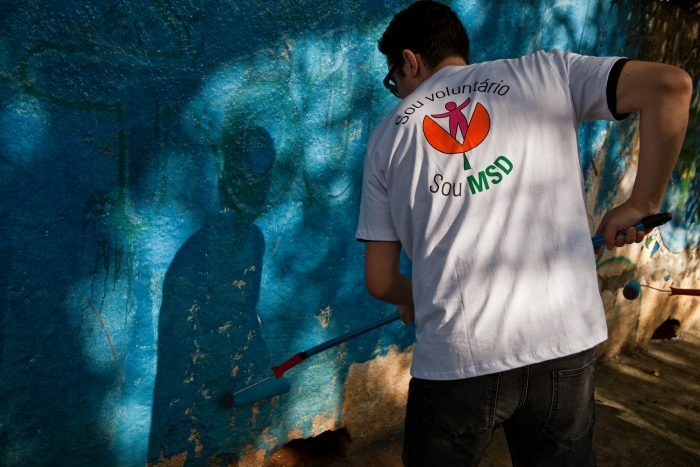 MSD volunteer activities do not only take place in São Paulo. 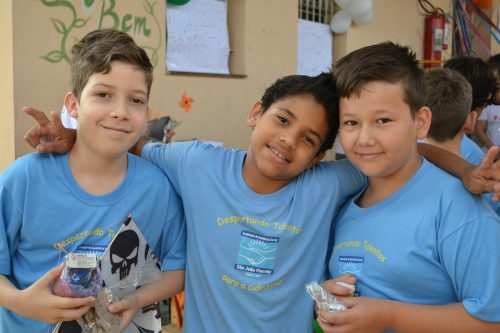 In Campinas, where the MSD manufacturing plant is located, Criança é Vida (Child is Life) organized a volunteer event this year. 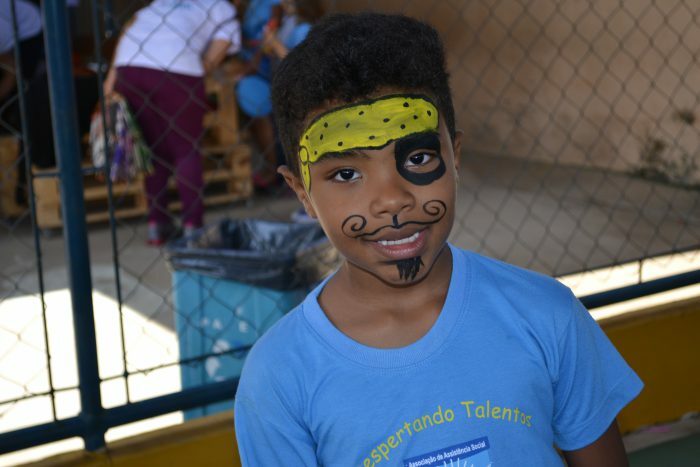 With 38 volunteers participating, a closing party for Child Month was held in October, at the São João Vianney Institution, which assists 6-to-14-year-old children. The success of the initiative was especially appreciated by Claudia Bassi, Executive Assistant to the Director of Operations at the MSD manufacturing plant. “In addition to participating in the party, I helped mobilize people in the company. I made t-shirts, went to different departments, talked to managers, coordinators and asked them to promote it. What most motivated me was the challenge of bringing volunteers together to participate in the event. People really got engaged,” she celebrates. Volunteer participation is recognized through certificates issued by the Institute, which, in general, are delivered at times appropriate for promoting employee participation within the company. This was what happened in Campinas. “During a lecture given by the manufacturing plant director, there was a break for promotion and recognition of the work of volunteers who were then given a standing ovation,” says Cláudia Bassi who bets big on promotion as a way to increase awareness and attract more and more volunteers. Roseli Ubaldo is Human Resources Manager and she also participated in the children’s party, in addition to other volunteer activities in the past. She believes that to see changes in the world, we have to begin with our own attitudes. 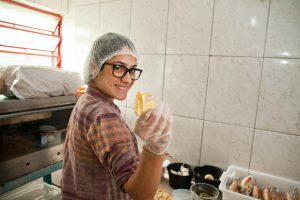 “Even though such activities seem to be small actions, they can have a positive impact on people’s lives and, consequently, on society,” she says. For this reason, she plans to continue contributing and doing more and more work like this. “We must never give up on building a better world!” she emphasizes. 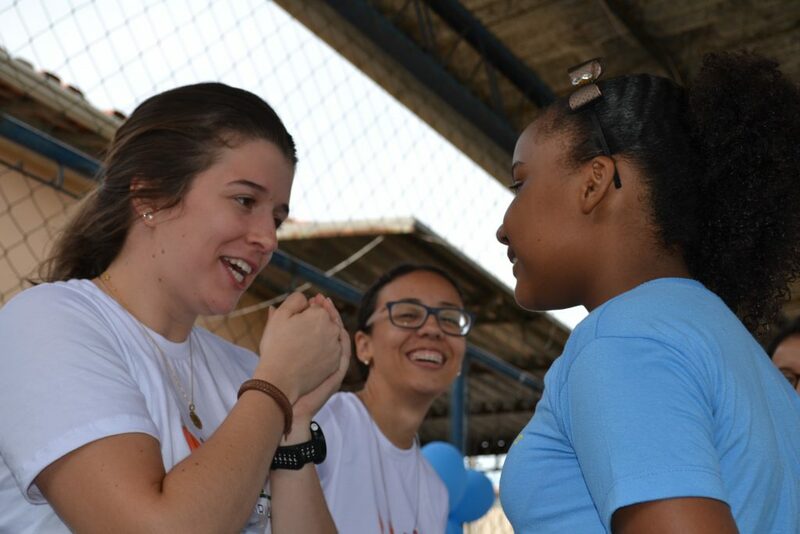 Used to providing financial help to charities, Pharmacist Mariana de Sousa Vilela had her first opportunity to actively participate in a volunteer activity on the occasion of the children’s party. The result was above and beyond her expectations. “My experience was the best possible. 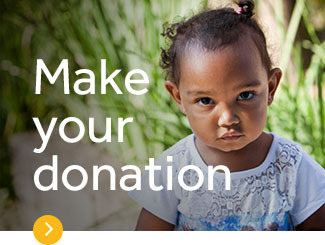 I felt that this time spent volunteering did much more for me than for the children. It was a time when I switched off from everything and just devoted myself to a happy experience. I believe we are able to change lives with love, with affection,” the MSD Quality Assurance Analyst says. Opportunities for learning and helping others led MSD Purchasing Intern Eduardo Pereira Baptista Ferreira dos Santos to participate in a volunteer activity for the first time. “We were very welcomed both by the organization and the children. Everything was well planned; all volunteers and all the children were able to take part in the games. We all felt free and integrated,” he says. At 23 years of age, the Economics student will learn important lessons from his experience in voluntary work. “Experiences like these renew our strength and provide new perspectives on life. Many of these children face many difficulties, but they do not lose the shine in their eyes and the smile on their faces,” he adds. And he is not alone. Each volunteer interviewed for this article expressed the same common feeling in different ways, both those who helped and those who were benefited: gratitude.